Towering sandstone cliffs and lush vine-forest fringing Porcupine Creek provide a striking contrast with surrounding flat plains. 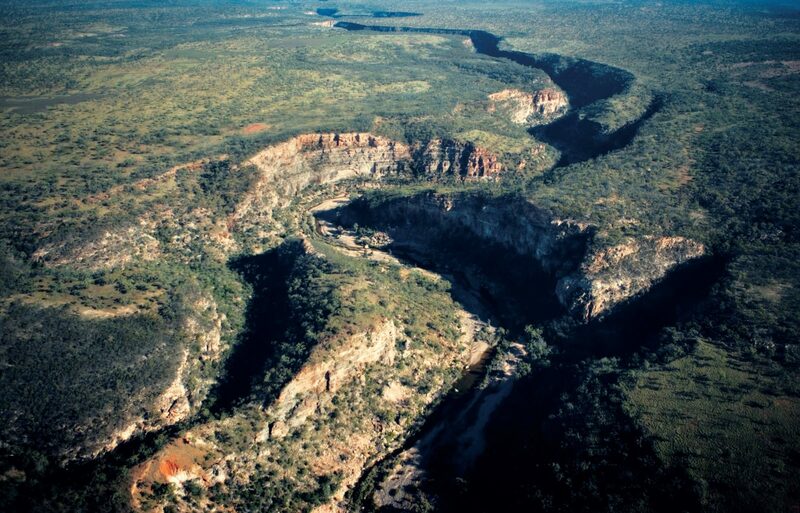 Porcupine Gorge is an impressive canyon that has been carved into the landscape by the eroding action of Porcupine Creek, revealing strata of sedimentary rocks spanning hundreds of millions of years. 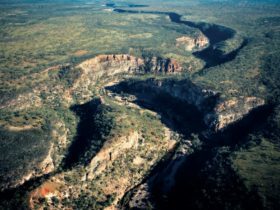 In the wider section of the gorge the creek has also created the Pyramid, an isolated monolith of multi-coloured sandstone rising from the floor of the gorge, shaped as its name suggests. The gorge is a great place for viewing wildlife, especially birds. 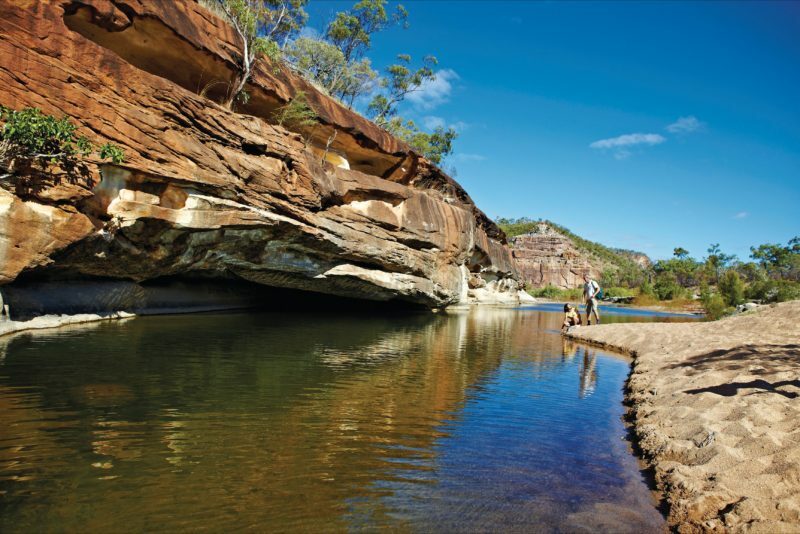 Explore the sculptured sandstone and deep pools of the gorge floor along the 2.4 kilometre return track. 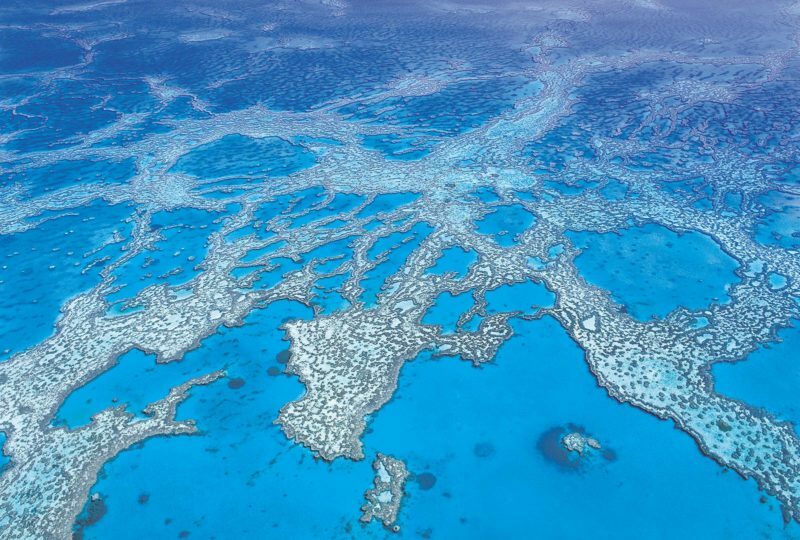 Enjoy the bird calls and look for wallaroos and red kangaroos. The short walk to the lookout is well worth the scenic views over the gorge. Set up camp in the camping area and enjoy the solitude of the outback.